Here at Aventura Movers, we know in intimate detail how stressful a move can be. That's why we strive to keep your worries to a minimum by treating all of our customers with courtesy and professionalism, handling their possessions with the utmost of care. 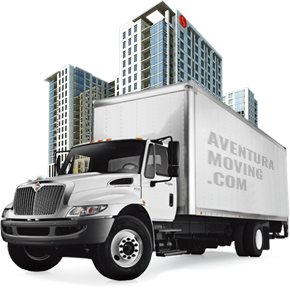 Aventura Moving Company has been providing top quality moving services to all of South Florida (Dade, Broward and Palm Beach counties) at the most reasonable prices around. We may not always be the cheapest, but we are the best. We have successfully moved all manner of apartments and houses, offices and commercial equipment, art studios, and several custom requests. If you need your spa, pool-table, arcade game, or vending machine moved in Aventura, just call us. Perhaps exquisite sculptures or unique paintings? We have the experience and specialized packing materials necessary to handle these things. If you simply need experienced labor to rearrange things within your home, we can send you strong, reliable workers who speak English, Spanish, even Russian! 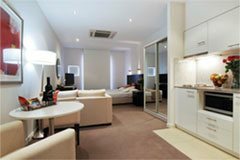 Whether you are moving from apartment, condo, or house, we are prepared for all events. We are fully insured to meet condominium association liability requirements. Perhaps you have stairs, or your furniture cannot fit through the door? No problem! We have you covered. Should you have no time or energy to pack, we will gladly provide you materials and experienced packers to get the job done right. Our primary aim as commercial movers in Aventura is to be as efficient as possible so that you can get back to what matters – running your business. 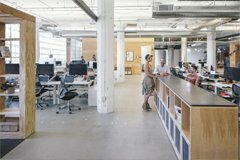 We understand the challenges involved in moving an office and can help your enterprise at every step of the process. 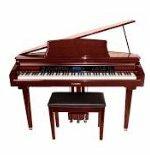 We have extensive experience moving all different types- baby grand pianos, spinet, upright pianos, etc. Many moving companies out there claim to have experience.. then they damage your expensive piano, leaving you a big hassle. You need a real piano mover to take care of your instrument. We have a wide range of packing materials and supplies for almost any eventuality, ranging from specialized equipment packing to fine art and antique china. Corrugated cardboard, special wrapping paper, bubble wrap.. you name it, we have materials to pack it.